In that year, singer-songwriters Devendra Banhart and Sam Beam (AKA one-man-band Iron & Wine) both released albums that proved this genre that had reached its apogee in the early ’70s could still inspire and excite listeners the way it did when it was new. The records, “Endless Numbered Days” and “Rejoicing In The Hands,” pushed both men to the forefront, making them unwitting leaders of an acoustic music revival amid the chic rock underground. Besides sharing the title of indie-label heroes with an obvious love of acoustic guitars, Beam and Banhart also seem to enjoy writing new material. In between the time releasing their acclaimed albums and the extensive tours that followed, they each recorded dozens of new songs. This month, Banhart and Beam both released the latest fruits of their labors. Coincidentally, their new albums show them both beginning to outgrow the perception that they were just bearded men whispering introspective lyrics to the tune of an acoustic guitar. Banhart’s batch of 22 songs — while still in the singer-songwriter mold — have him experimenting with new instruments and non-Western influences to great results. Likewise, Beam has joined forces with spooky, southwest rock ensemble Calexico to record an EP that, well, almost rocks occasionally. 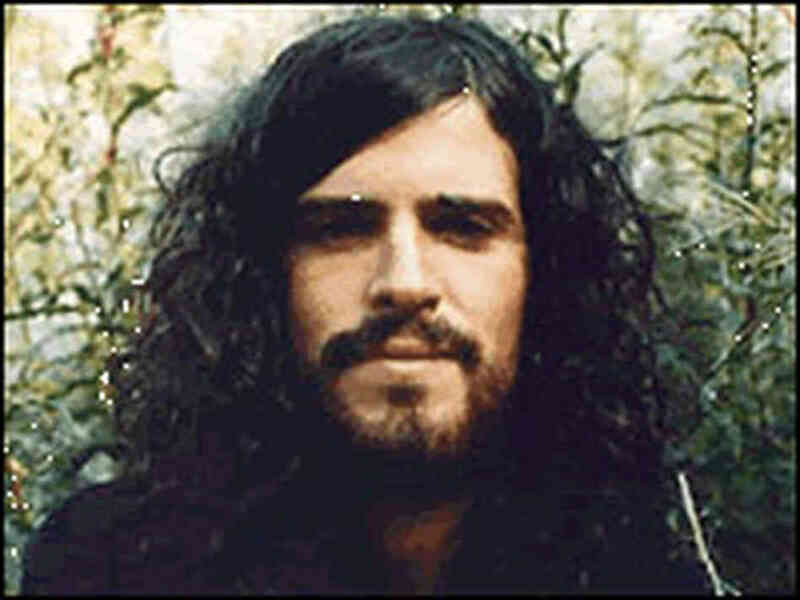 It would be easy — based on initial impressions — to write off Devendra Banhart as a folkie Lenny Kravitz. Dig deeper in “Cripple Crow” and one will find Banhart is doing more than just re-live the hippie experience. He is a talented performer and improving songwriter that is bucking at his influences. He is seeking to break out of the musical modus operandi that he’d set for himself on his records, and now is he making the first forays into a new sound. A majority of the songs on “Cripple Crow” are still based on Banhart’s quirky, otherworldly voice and the highly intricate guitar patterns that ring forth like cascading bells. Around this framework, he’s now drafted new modes of attack that show off his increasing technical sophistication and creative maturity. Tracks like “Chinese Children,” “Heard Somebody Say” and “Long Haired Child” are more immediately striking thanks to the introduction of pianos, drums, bluesy electric guitars, and even a flute (a la Van Morrison’s “Astral Weeks” album). The songs have a punch that his solo acoustic numbers couldn’t quite pack. A sitar and tablas give “Lazy Butterfly” an explicitly Indian vibe, but the songs cadence is also reminiscent of the Velvet Underground’s “Venus In Furs.” This odd sonic similarity between the Velvets and world music reappears later on a children’s song, “Hey Mama Wolf,” when a string part that swells to a shriek that is similar to both the electrified viola that John Cale used in the Velvets as well as Chinese music. Another daring experiment is “Some People Ride The Way,” which is a respectfully done Vaudeville show tune. Banhart’s quivering voice doesn’t seem out of place with the cheeky piano and banjo. Someone (Banhart perhaps) doing a silly imitation of a trumpet doesn’t break the musical spell. Banhart also continues to explore a fascination with traditional Latin music. Having spent some of his childhood in Venezuela, songs like “Santa Maria De Feira,” “Quedateluna” and “Lunda De Margurita” are rife with broad flamenco flourishes. Although each has a strict rhythm, their melodies sound intoxicated by simultaneous feelings of grief and happiness. The songs are dropped through the record and give a change of mood that eliminates a creeping sameness. The album’s center point is the dreamlike “When They Come.” Part William Blake poem, part blurred political statement, the song meanders along as a Banhart’s shivering voice, a guitar and tablas carry the listener through a fever dream. It seems longer than its six minute running time, but the song is surprisingly enjoyable for even non-hippies. Banhart might look and sound like a cheap ’60s throwback initially, but on “Cripple Crow,” he’s shown that he intends to move forward with his music. You should listen. Obviously, the mutual trash talking and dashed hopes that followed rock’s last, big-time coupling of Beck with the Flaming Lips didn’t deter Iron And Wine’s Sam Beam from hooking up with southwesterners Calexico. While Beam wrote all seven songs here — and the short story lyrics and winding melodic structures bear his trademark — the music owes a monumental debt to the crossbreed sound of rock, country, and Mexican music that Calexico has been cultivating and refining for nearly a decade. The opening track, “He Lays In The Reins,” unfurls in a similar fashion to most of Beam’s tunes, revolving around his soft, entrancing voice and a steady acoustic guitar strum. However, the musical colors that accent the main melody are sharper than anything on Beam’s records. The snare drum snaps loudly, the shaking maracas create a danceable rhythm, and steel and electric guitars weave in countermelodies during the choruses and the track’s coda. From there, the album’s songs draw influence from nearly every form of rural roots music. “History Of Lovers” is also built around some basic acoustic guitar chords, but Beam experiments by sharing vocals with Calexico frontman Joey Burns. Their voices aren’t pretty, but distinct. Their harmonies are surprisingly tight, and the group fills out the song by deftly fusing a saloon piano with a bright-sounding, wall of horns. All of these cuts come off like they’re result of a group effort, as opposed to being the product of a songwriting mastermind and his passive helpers. Unlike most of the Iron And Wine records, the instruments on “In The Reins” are more ambitious, directly challenging Beam and answering his vocal lines. Although Beam has toured with a backing group for the last few years, their presence in concert is never as pronounced or malleable as Calexico is here. The only fault one could find in “In The Reins” is that the combination is so seamless. There’s no sense of conflict — pushing or pulling — in the music. Their differing musical strengths naturally wrap into each other. Where’s the rock star ego battles? Instead, we get Beam, the musical lone wolf, finding an easy home fronting this multi-faceted outfit. Both sides seem pleased with the end result, and appear determined to build on it. Beams and the Calexico guys are set to play a string of West Coast dates next month. Hopefully, the road won’t prove as poisonous to their union as it was for Beck and the Lips. Tags: "Cripple Crow", "In The Reins", Calexico, Devendra Banhart, Folk, freak folk, Iron & Wine, Iron And Wine, Sam Beams, Samuel Beams. Bookmark the permalink.